Want to add a contact to the Home screen on your iPhone or iPad? Apple has been granted a patent (number 10,095,375) that would allow you to do this. Per the invention, an icon can be created for a contact (e.g., an individual(s) or an entity) and presented on a user interface of a mobile device. The icon can be used to retrieve and display contact information. The icon can also be used to invoke one or more applications that are personalized to the contact. The icon can be modified to display information related to the contact. In one aspect, an icon associated with an entity can be temporarily displayed on the mobile device based on the proximity of the mobile device to the entity. The icon can be used to retrieve and display information related to the entity. Additionally, the icon can be removed from the display on the mobile device when the mobile device is no longer within a certain proximity of the entity. 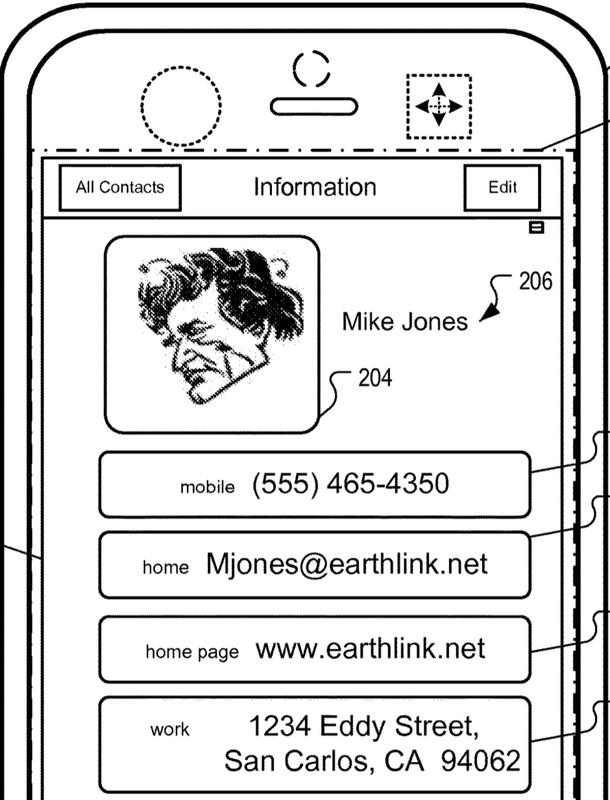 In the patent filing, Apple notes that mobile devices often include databases (e.g., an address book) of contacts associated with the user. Entries in an address book can include digital objects (e.g., photos), and other information (e.g., text), corresponding to a particular contact. While having all contact information in one place can be convenient, quickly finding an often needed contact can sometimes be difficult and inconvenient. Apple wants to change this.